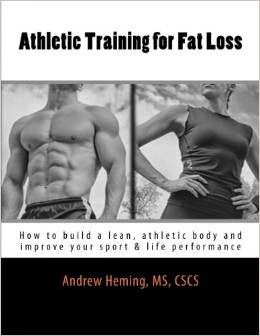 Andrew Heming's Blog: The Best Hamstring Exercise Just Got Better! The Best Hamstring Exercise Just Got Better! When people talk about muscles it seems to always be the mirror muscles. It seems that everyone wants to focus on pecs, biceps and abs. Any lower body work was traditionally quad focused. Now the glutes seem to get all the attention. Hamstrings just don’t get the love they deserve! That’s too bad because if you are serious about your lower body aesthetics, your athletic performance or your knee health, you need to give your hammies some serious TLC. While there are a handful of great hamstring exercises, my all-time favorite is the Romanian Deadlift. And, with this new tweak, we are going to take hamstring training to a whole new level! As a gym newbie back in the machine era of the 90’s, I wandered into my high school weight room with no idea what I was doing. As with any teenage guy, legs naturally weren’t the focus. However, I did some shamefully high squats, leg presses and the only hamstring exercise I knew – leg curls. You won’t be at all surprised to learn that this inferior leg routine left my legs painfully skinny and profoundly weak. As time when on, I stumbled across the Romanian deadlift. Actually, at that time, most authors recommended the straight leg deadlift, but what I did was more of a rounded back Romanian until a kind gentleman came up to me one day and told me to keep my back straight. Despite my general lack of training wisdom, I somehow managed to abandon the leg curls, stay with the Romanian deadlift and progressively add a lot of weight. After a few months, I was amazed. My overall body weight and mass had increased, my legs got bigger and way stronger. Also remember going back to the leg curl machine and being shocked at how much stronger I was on leg curls – despite the fact that I had not even done the exercise in a long time. Requires no specialized, space-consuming and often expensive (e.g. glute ham raise bench) equipment – you can even deadlift the first rep from the floor if you don’t have a rack! Despite these fantastic advantages, there is a downside. You see your body doesn’t like exercise and it doesn’t care about your hamstring development. All it cares about is surviving your stressful training sessions as easily as possible. As a result, it will subconsciously cheat you out of the results you deserve. At the bottom of the movement, you want to feel a good stretch in the hamstrings. This lets you know that you have proper tension on them. However, your body will quickly figure out that if it shoots your knees forward, it can take that hard tension off the hamstrings, scoop the knees under the bar and put you in a position to easily ¼ squat the weight up. While this is a great way to move a massive amount of weight, it takes the focus off of your hamstrings and onto your ego. How do I know this? Because I have fallen into this trap many times over the years. Over time I learned the importance of keeping a vertical tibia during the Romanian deadlift to keep the hamstrings engaged. I also discovered that while not as big of a problem, if I pushed back too far when doing the exercise, I also noticed a decrease in hamstring tension. This lead me to a search for a way to ensure I kept a vertical shin angle. Happy hamstring training! Oh and if you find your hamstrings a little sore the next few days, remember that walking is overrated (just kidding). How about you? Do you like the Romanian Deadlift? Do you find in an effective exercise? If you give this method a try, please let me know what you think. As always, I welcome your questions and feedback below or on my Facebook Page. Thank you Shane McLean. As always, I appreciate your feedback. Congratulations to you for making this list as well! Fantastic positioning tool. Well played, sir! Thanks Steve, I appreciate the feedback!